Cyndy was sponsored by PPG Timeless to participate in this project, but all opinions expressed are her own. 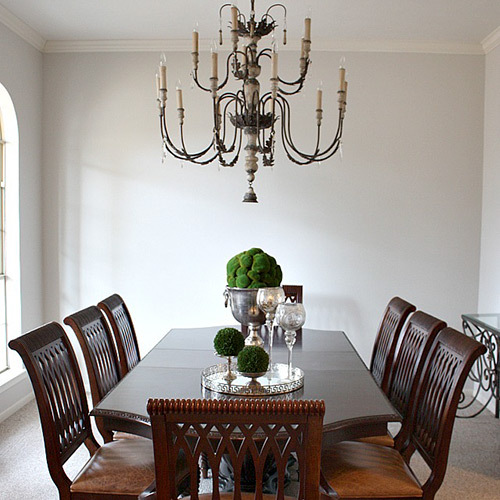 When DIY blogger Cyndy Aldred of the Creativity Exchange wanted to update her dining room, she turned to PPG Timeless. 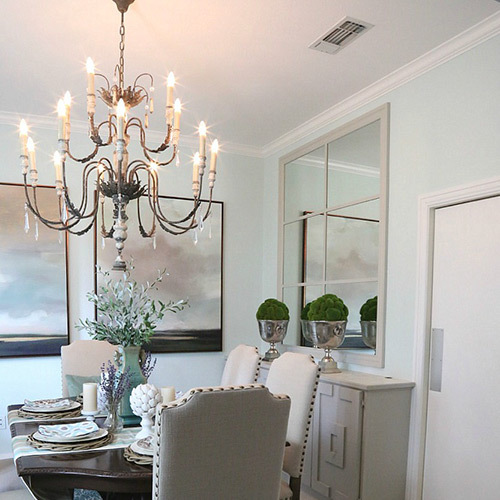 She wanted a subtle and serene paint color that would freshen up the room and make it a welcoming space. After years of slowly remodeling her dining room, Cyndy was inspired to complete her project after discovering PPG’s Spring Mist. "It was exactly the color that I had envisioned for pulling this space together,” she wrote. “A perfect light blue/green/gray serene color. Spring Mist is a very subtle color that looks so amazing on our wall. "You can really get a feel for this color by looking where the wall meets the bright white on my ceiling and trim," Cyndy wrote on her blog about the makeover reveal. She chose to use Spring Mist in a flat sheen for durability. "I highly recommend using a more durable product with consistent coverage like PPG Timeless paint if you’re looking for a beautiful flat finish," she said. "I have used dual paint primer products in the past but often times, multiple coats were still needed," she explains. 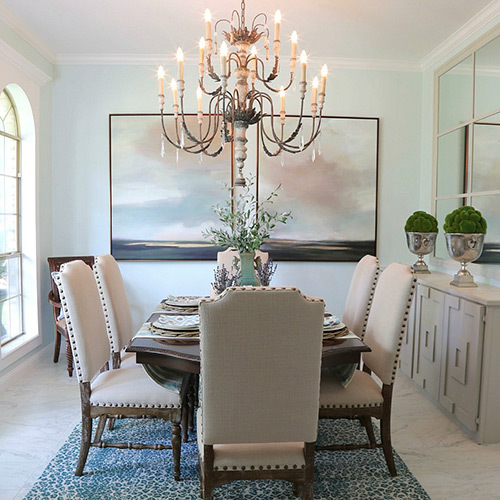 In the post about her dining room makeover, Cyndy also shares styling tips about upholstering chairs, finding artwork and replacing her old carpet with marble-alternative porcelain. See how a DIY blogger revamped a dark and tired front porch. Follow DIY blogger Cyndy Aldred's backyard project.